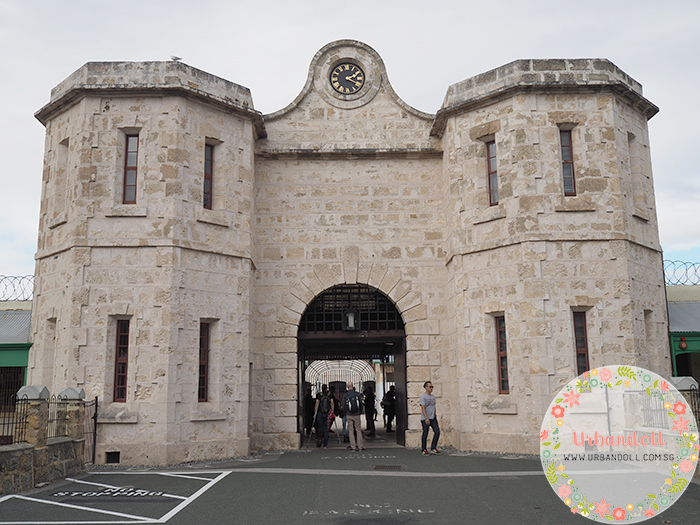 On our third day in Perth, we collected our car and headed down to Fremantle. 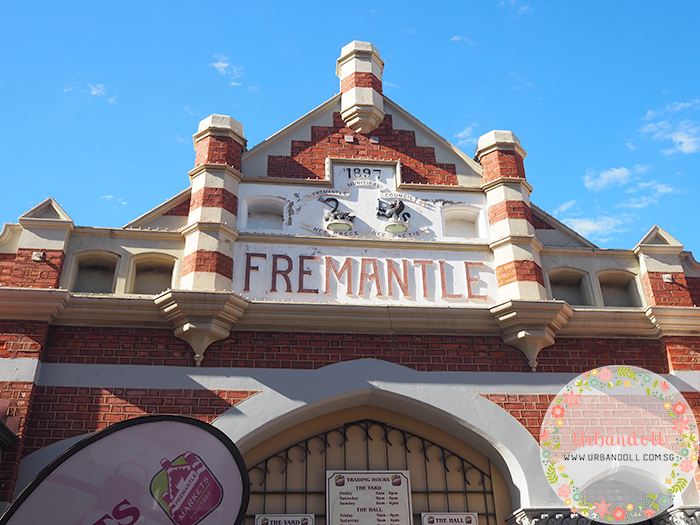 One day in Fremantle saw us covering Fremantle Market, San Churro, Fremantle Prison, Cicerello’s Fish & Chips. We collected our car at Hertz in Perth City, it was a one hour wait while queueing and settling the administrative procedure before we could get the car. The drive from Perth City to Fremantle took about 30 minutes. Settled into our Airbnb before heading out! 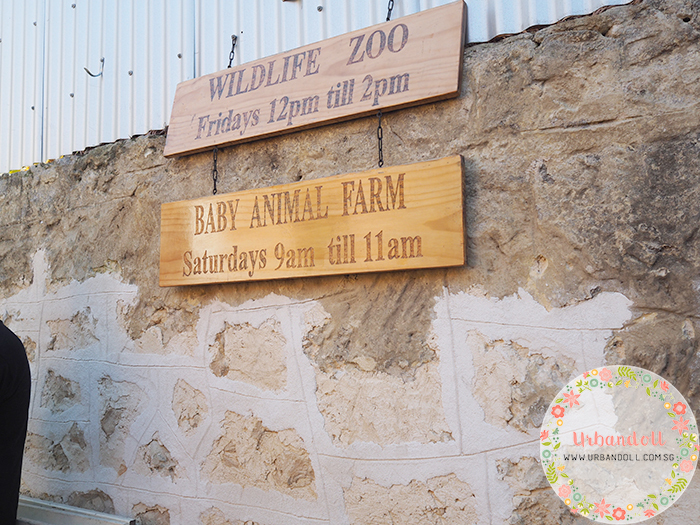 Our first stop was to visit the Baby Animal Farm within Fremantle Market but we were late!! 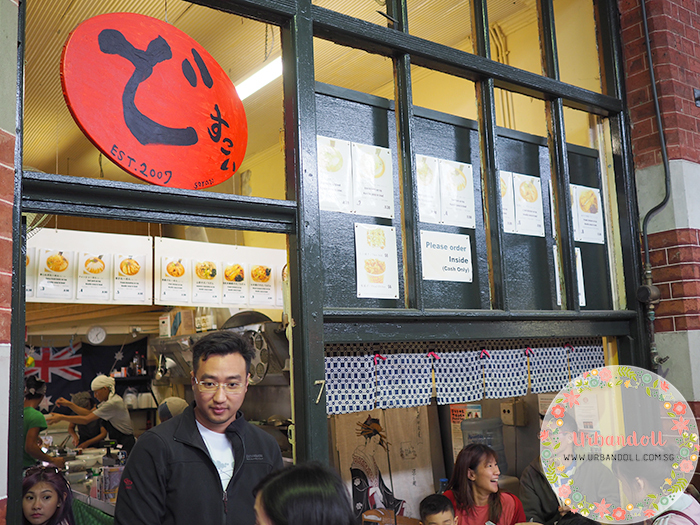 It was 11.30am – 12pm by the time we got there and it was already closed. 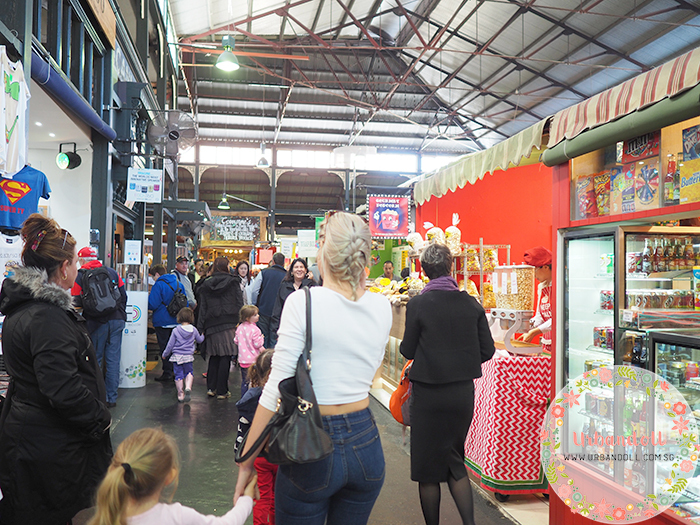 Went walking around the market. 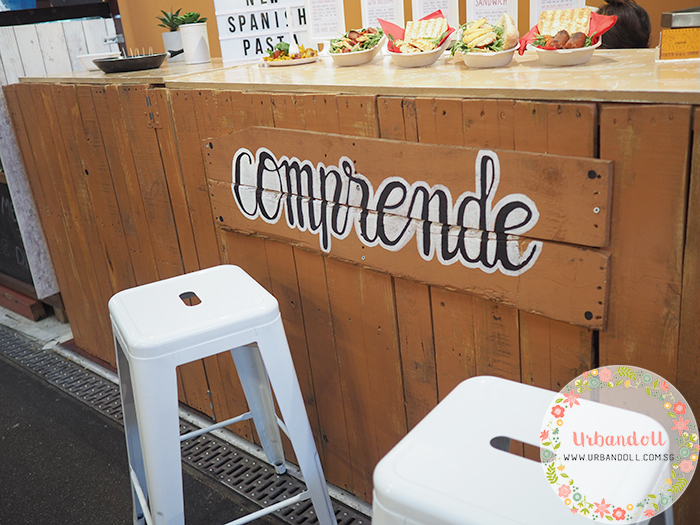 It’s a pretty small sheltered area with many stalls selling organic food, handmade stuff, etc. 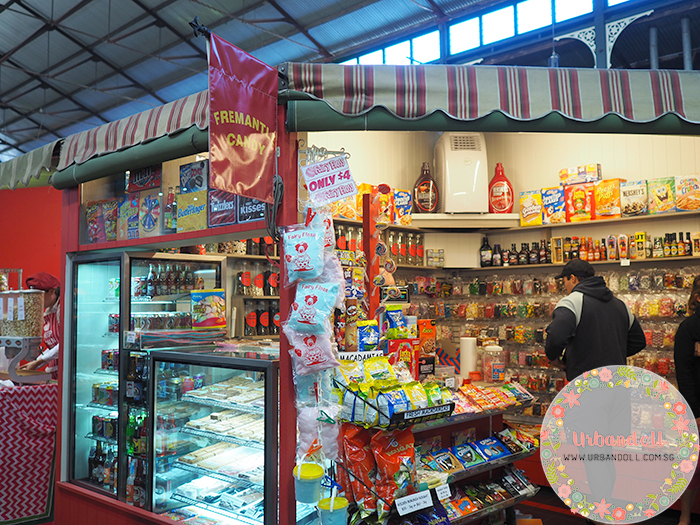 I saw a shop selling ice cream with candy floss and they were around AUD8 – AUD13. You probably can get that in Bangkok at half the price. So we didn’t try that although it looked really pretty. 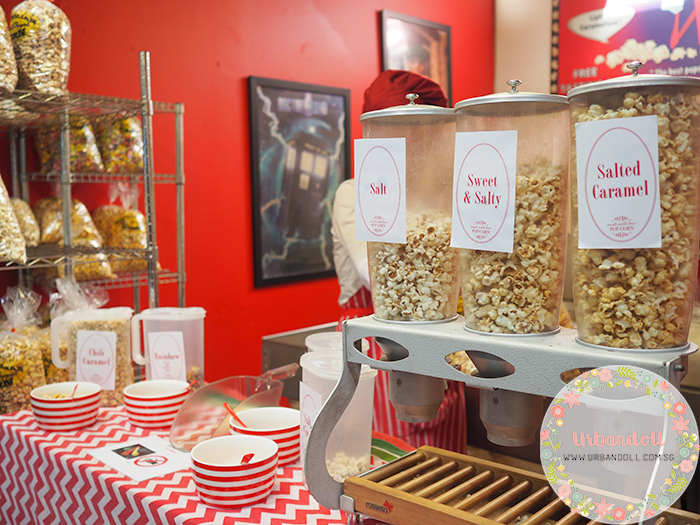 Freshly roasted pop corn for you? 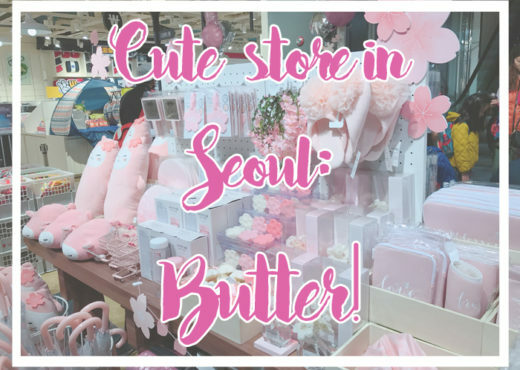 We weren’t really interested in all the sweet desserts and fresh produce but guess what we found? 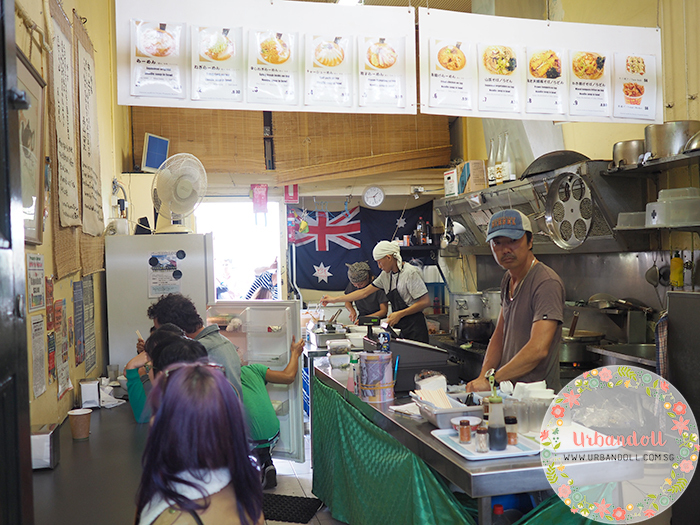 We saw a queue outside a small ramen stall and decided to check it out. It’s Dosukoi Ramen. 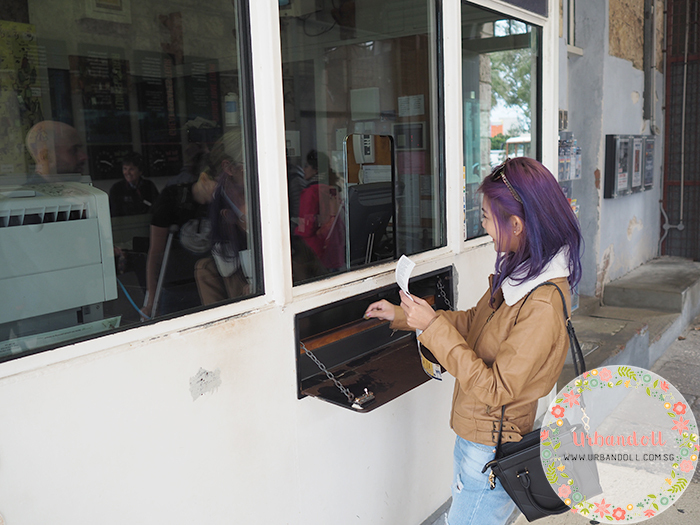 We didn’t read about it online beforehand but the long queue probably meant it was popular. The way to queue is to only leave your phone number and they will call you back depending on how fast the patrons finish their ramen. Ours took around 40 mins – 1 hour before they called us. 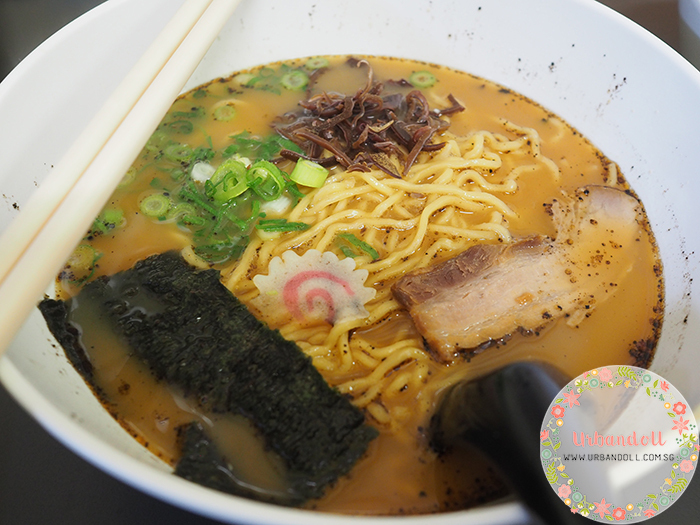 Finally it was our turn to dig into this hot soup of ramen after a long wait! My verdict? I guess by Aussie standards, this is considered a good bowl of ramen. I think the ramen noodles itself were instant noodles?? Correct me if I’m wrong because I didn’t watch them cook or make the noodles but they were very springy. The broth itself was very tasty or some would say too salty. It really depends on individual preference. 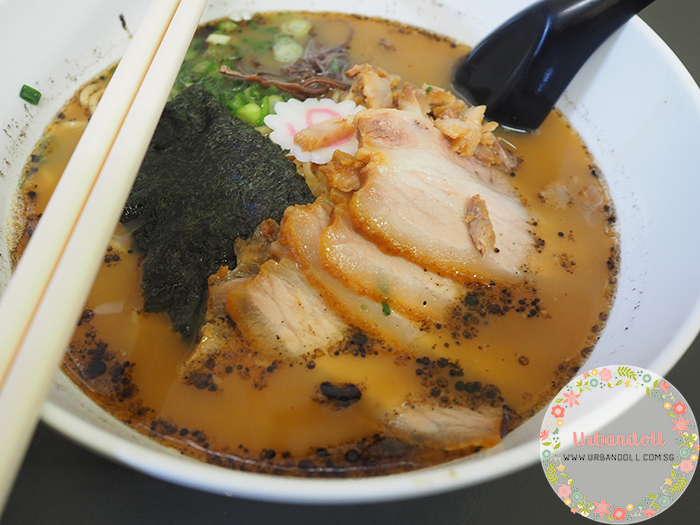 For AUD8.30, I would recommend this ramen joint instead of spending money on overpriced sweet desserts or sandwich inside Fremantle Market. 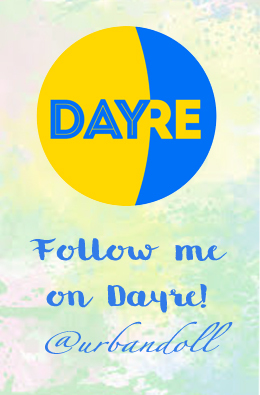 If you’re within the area, then why not? 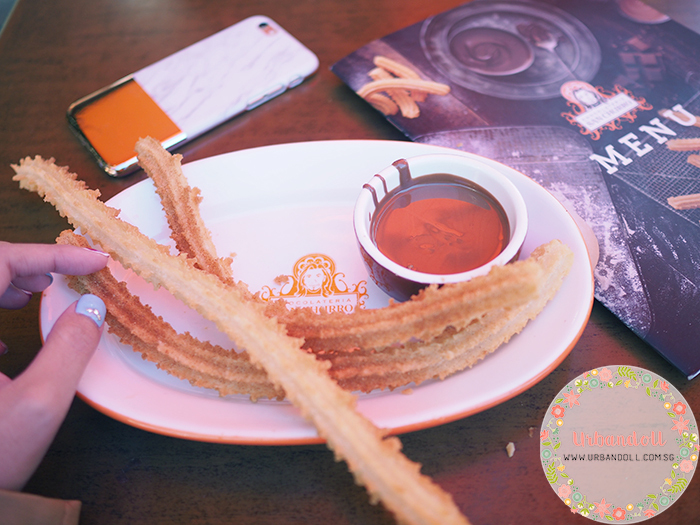 We ordered just one serving of normal churros with milk chocolate dipping because we wanted to save our stomachs for the ramen. 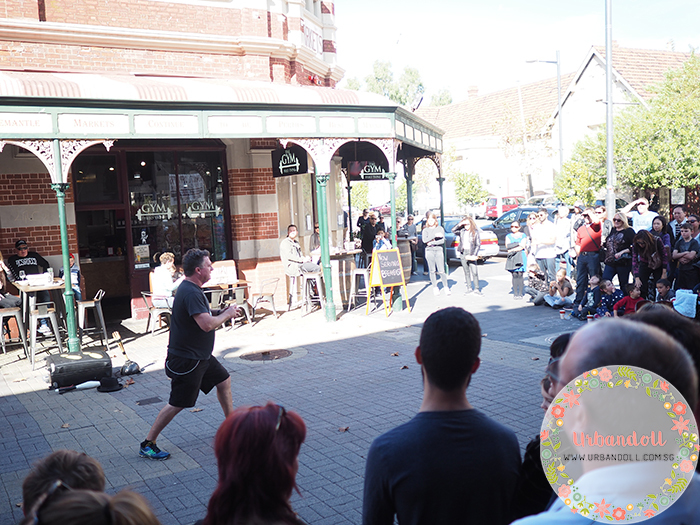 You will find buskers around the Fremantle Market area. Some perform magic tricks while some are dance crew. 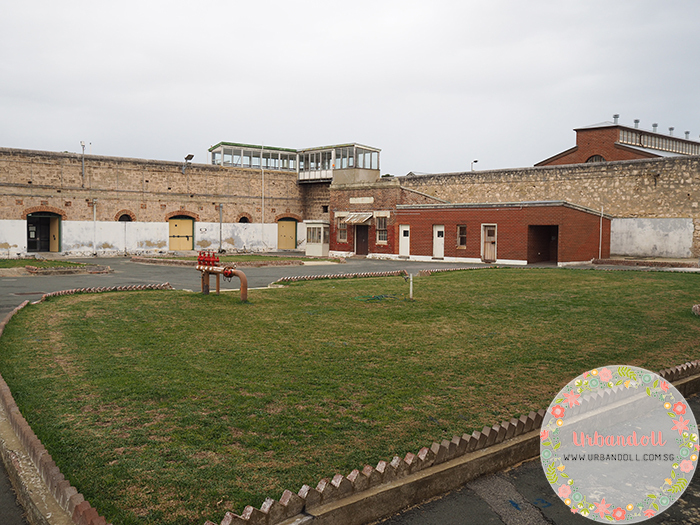 Our second last stop of the day was Fremantle Prison. We drove there as there was parking available. You can walk there if you want, it should be under 10 minutes. 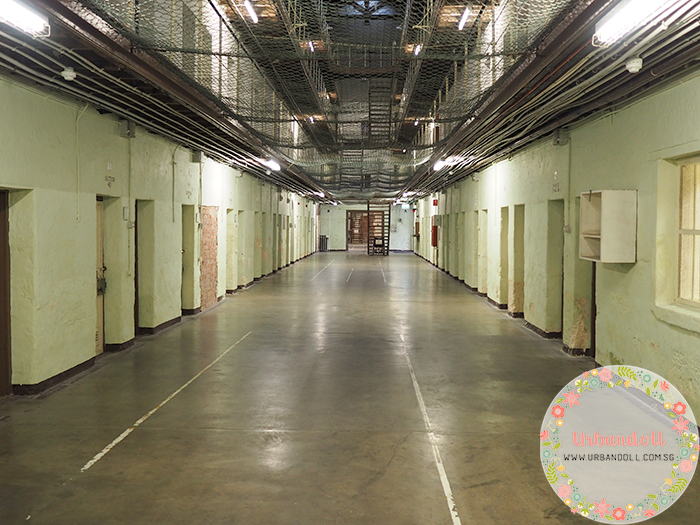 When I was in San Francisco, I wanted to tour the Alcatraz Island but none of my friends were keen on that so I gave that a miss. 🙁 Definitely making my way there on my next visit!! Evidently extremely happy to purchase my ticket for the tours. 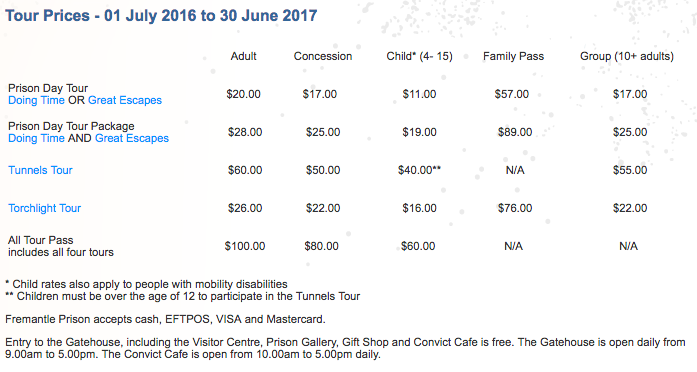 We signed up for Doing Time tour and Great Escapes tour at AUD28.00. And off we went for our Doing Time tour which was very informative (at least for me la hahaha). 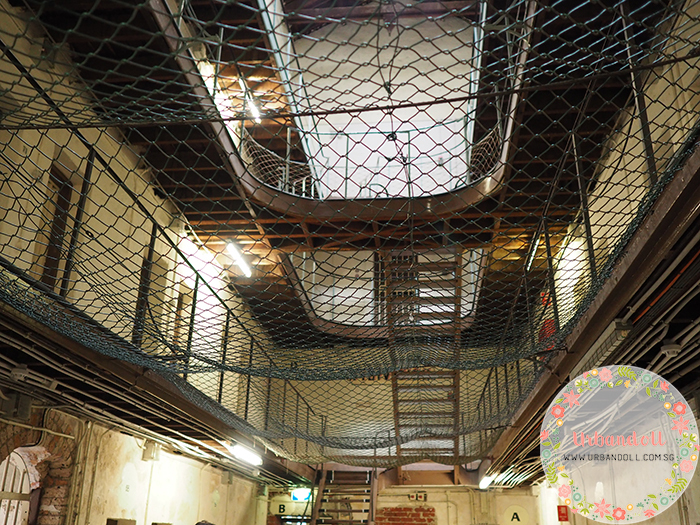 We were shown the insides of the prison and learnt about the history of the place and criminals they held. 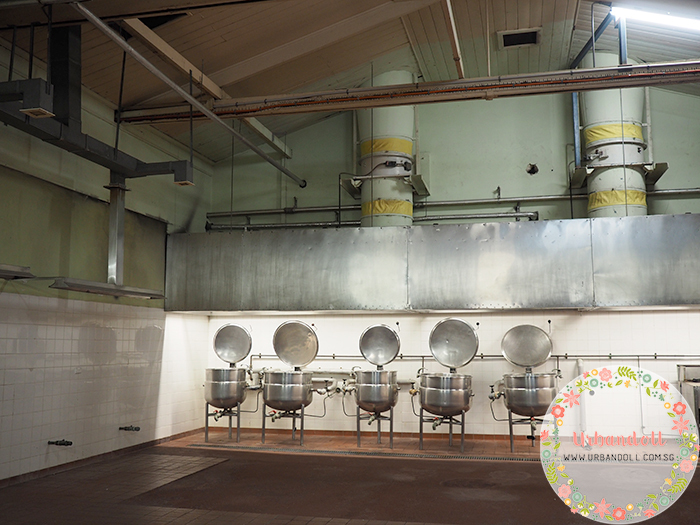 The kitchen where they cook food in bulk. Some of the prisoners were selected at chefs to prepare food for everyone daily. 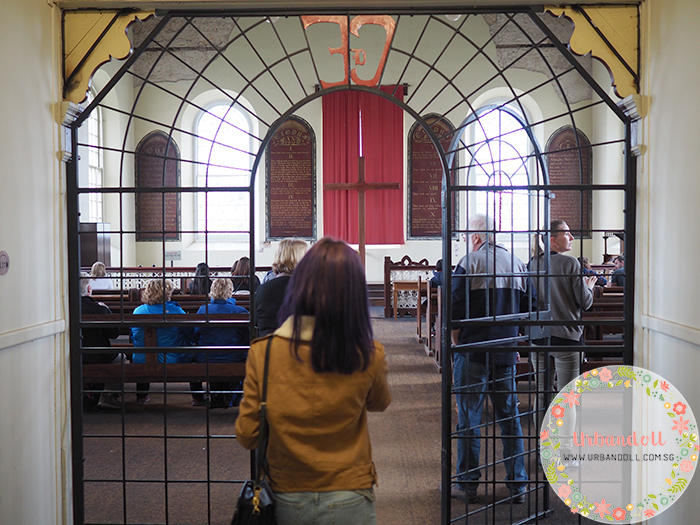 There were two chapels in the prison. The corridor of one of the blocks. 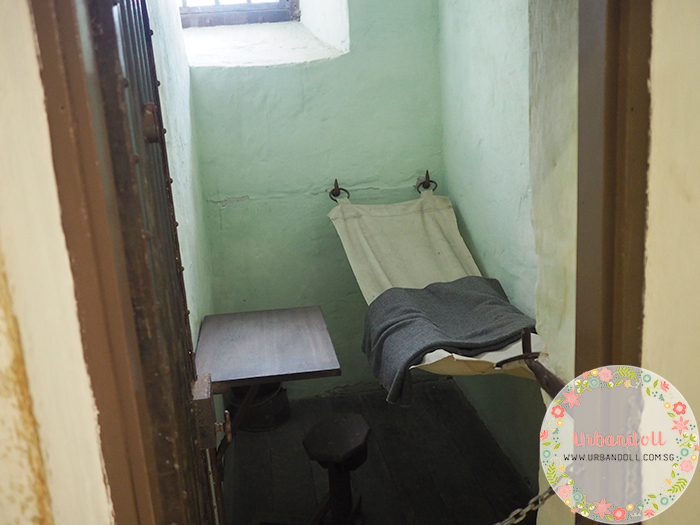 Check out how small the prison cell was! It measured 1.2m in width and less than 2m in length if I remembered correctly. 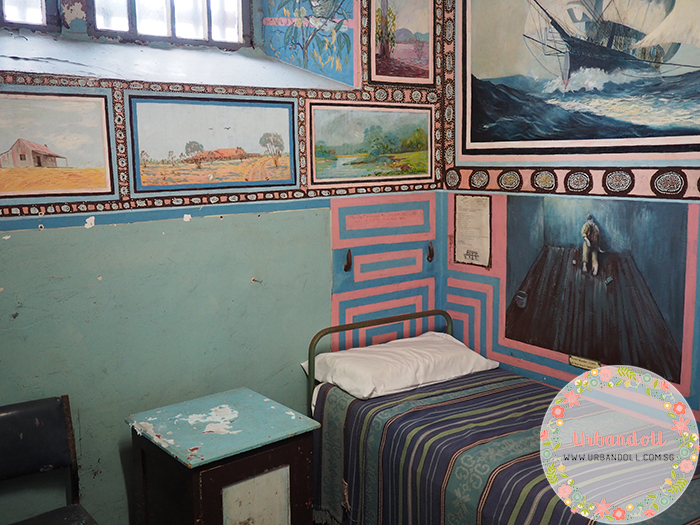 It was only until idk-which-year that they combined 2 cells into 1 room, making the place more spacious for the prisoners. 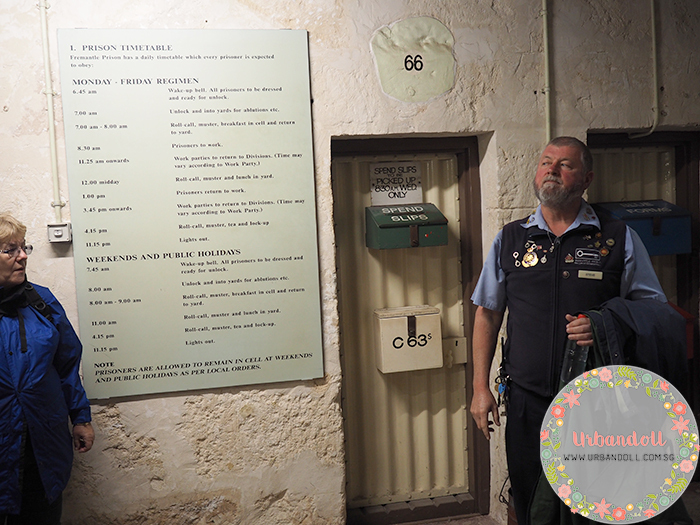 The Doing Time tour took 1hr and 15 mins, the Great Escapes tour took another 1hr and 15 mins too. 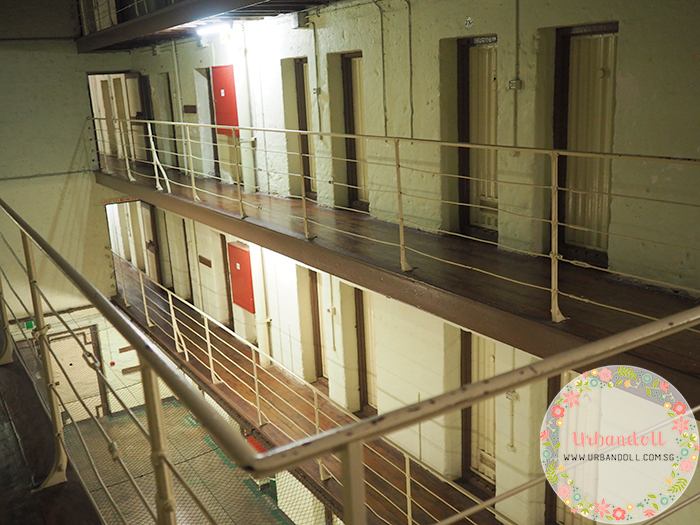 The Great Escapes tour was mostly about how some inmates managed to make their way out of the prison. Some successful attempts and some weren’t so. It was raining by then so we did the tour in the rain. 🙁 Luckily we had our umbrella with us. 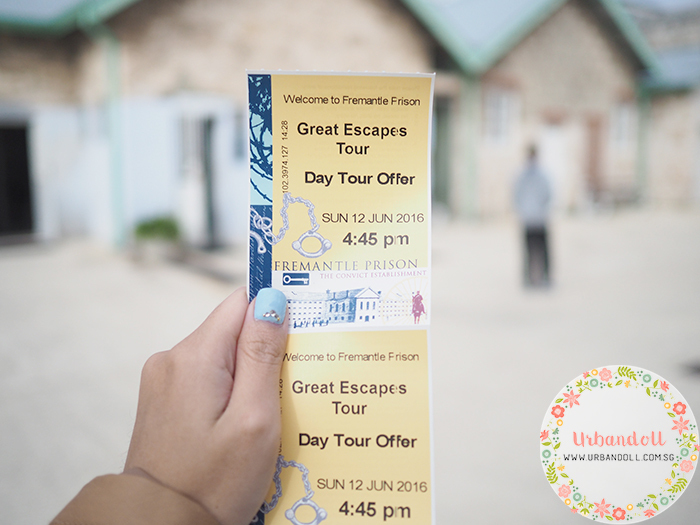 I’d say you can give this Great Escapes tour a miss and just go for the normal Doing Time tour if you don’t have the luxury of time. 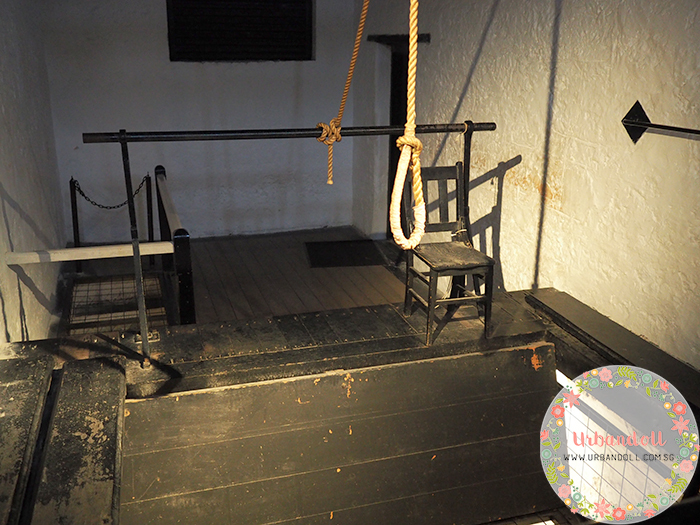 We were also shown the execution room. X( We were all shivering in the cold and hungry by then. 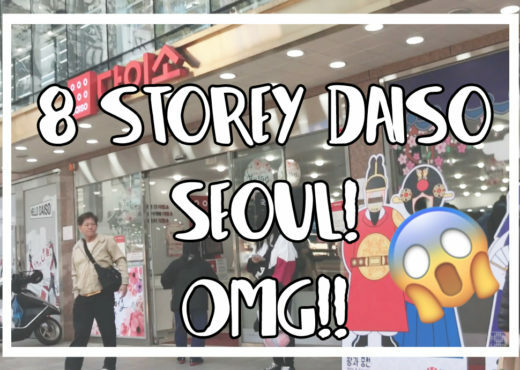 So it was time for us to go food hunting! 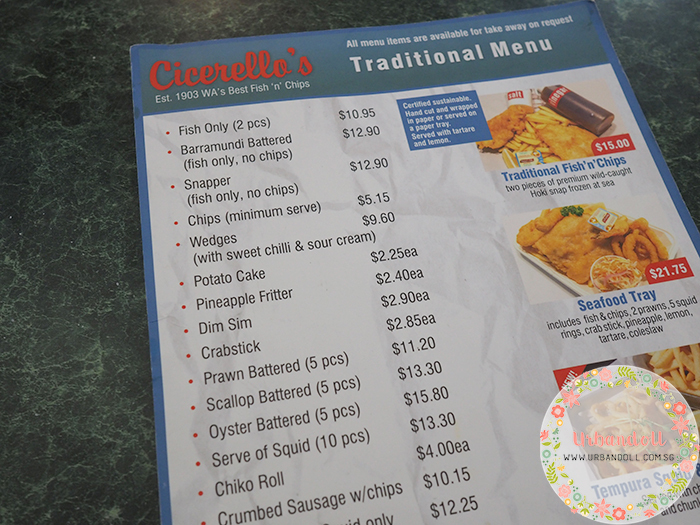 And our last stop for the day was of course to fill our growling tummies, Cicerello’s Fish & Chips! 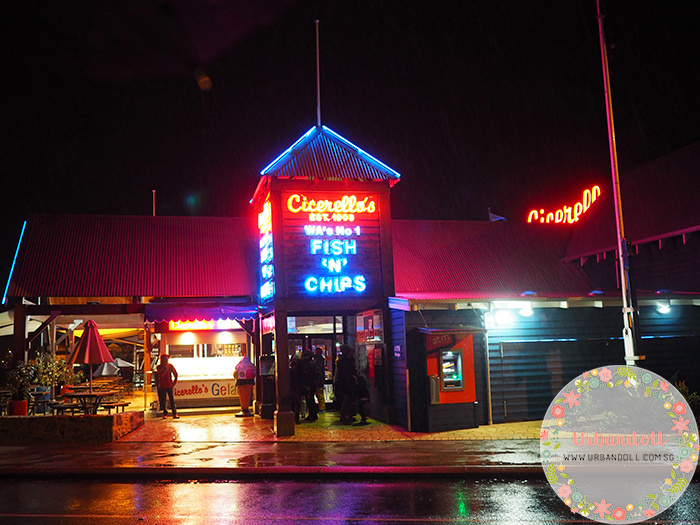 At Cicerello’s, be welcomed by bright neon lights and their huge blue fish tanks. 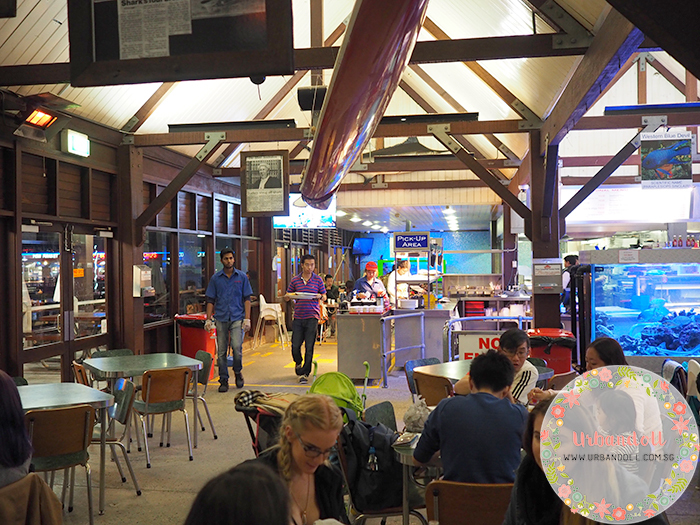 The place is spacious so you don’t have to worry about not getting a seat. 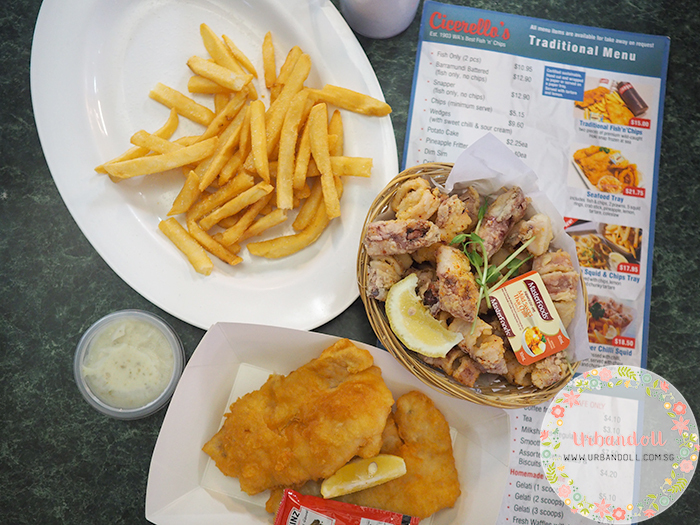 We ordered the Fish without chips because Roy bumped into his friends who gave us their extra fries. 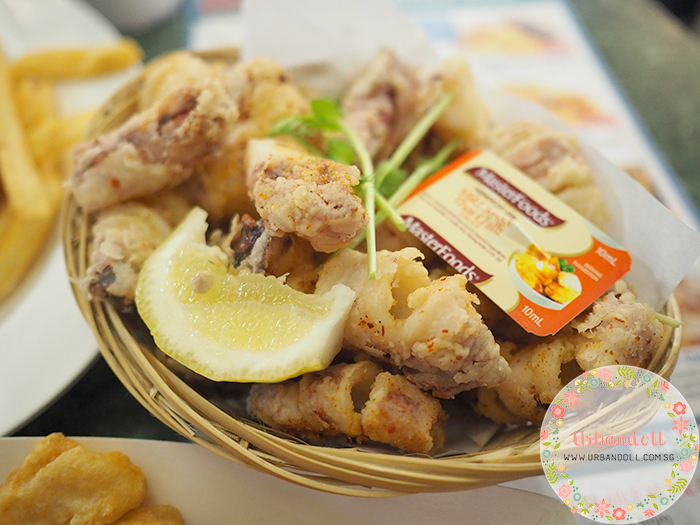 And a basket of fried squid! The fries tasted bland so we had to get additional salt (free). 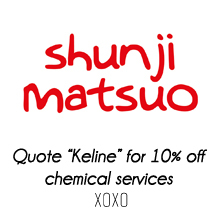 Skip the fries and save yourself some money! Fries come with a minimum serve at AUD5.5. 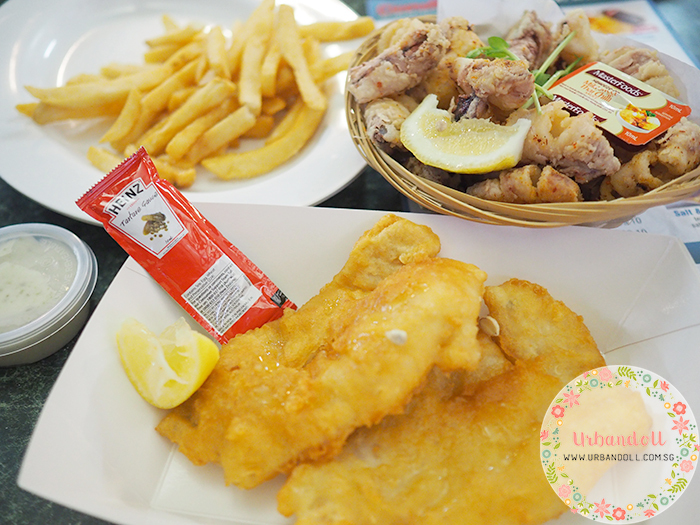 Barramundi Fish and squid were good!! I wished we were here in the day so we could enjoy the sunset at the boat harbour. 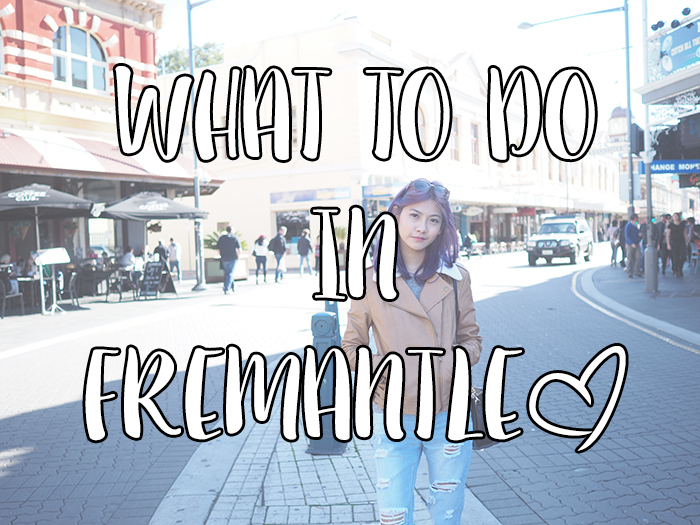 And that concludes our one day stay and what to do in Fremantle! 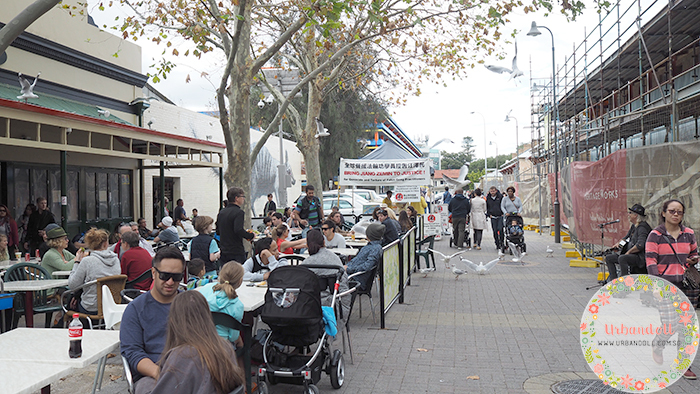 Fremantle reminds me a lot of San Francisco where you can stroll along the streets in the cold sea breeze, watch seagulls flying by and have fresh fish & chips. 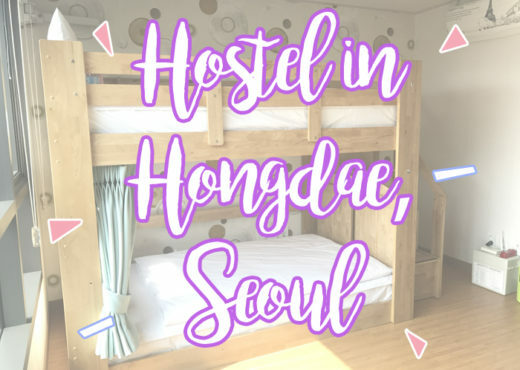 I know this is a long post but we tried to cover as much places as we could in the short time frame we were there.